If you follow In Search of Cosy, or just scroll down to my last post, you will know that I have gone a bit obsessed with pottery. I don't know if it is the fact that my Mamma and myself are so into The Great Pottery Throw Down, growing up so close to Stoke, or being so in love with natural textures, but the obsession is definitely there. 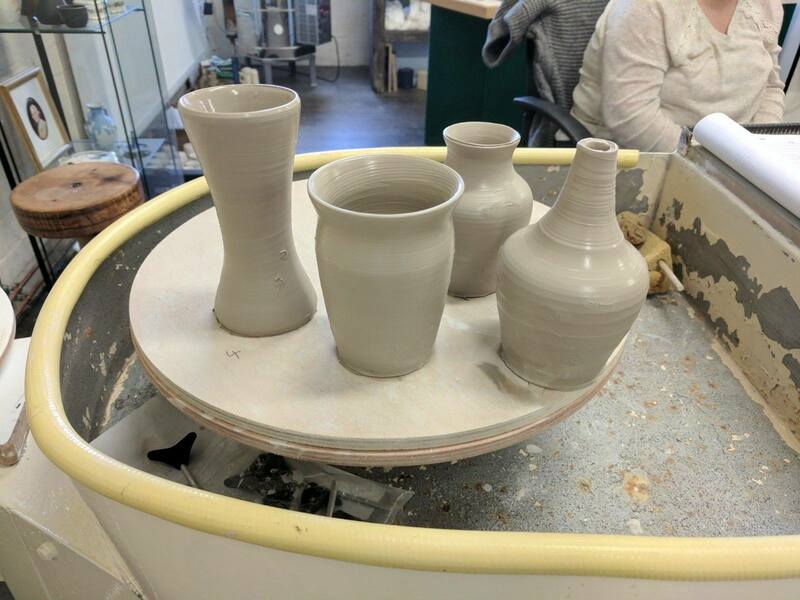 To take this obsession to the next level, I headed over to Middleton Pottery (which if you do watch TGBTD, you will recognise!) and to Jon French. To say I cannot recommend Jon highly enough is an understatement. He is friendly, warm, patient, supportive and encourages you to do as much for yourself as you can rather than doing it for you. One thing I found really special about him is that he fully encourages you to be creative and kept seeing what we could 'unlock' and what we wanted to make, not what he wanted to teach us. He also has a great sense of humour, we all collapsed into stitches when I made something incredibly phallic. 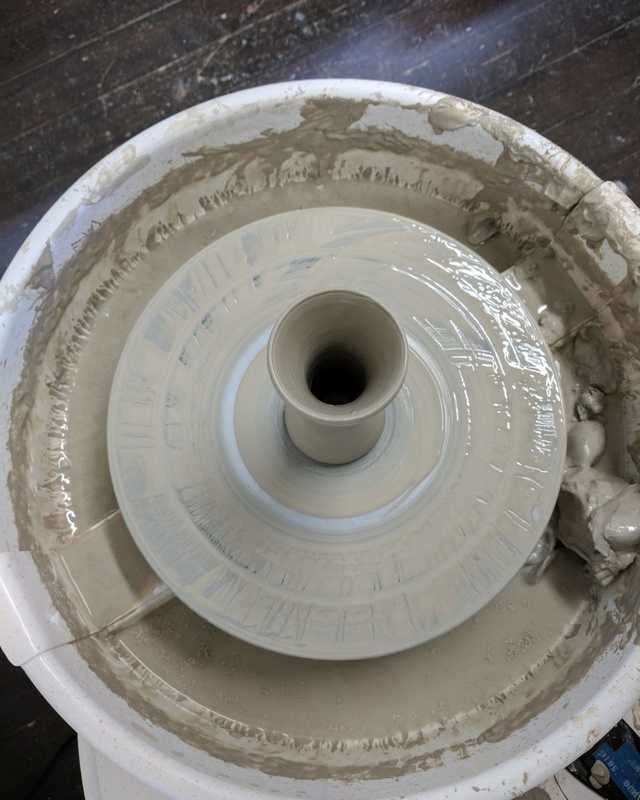 Without trying to sound creepy, the feel of the clay in your hands is amazing and it is surprisingly easy to create something, it may not be perfect, but you can create something beautiful pretty easily. Jon will make sure you do. I am so proud of what I created, and am so in love with the form, that I have decided I am going to treat myself to a lesson a month (probably just after payday) and in twelve months, see how my skills have developed and what I can do. An interesting thing that we noticed, is that you develop somewhat of a style more or less straight away. The two on the right are my creations, and the two on the left are my sister's. I seemed to gravitate towards a blooming vase and my sister gravitated towards larger, more modern shapes. The lesson is an hour, but be prepared you will almost definitely want to spend another hour or two there. There are small independent ceramic shops, a hand-made furniture shop, a museum, a steam engine and a lovely cafe. The cafe was busy so we sat upstairs in a lovely relaxed (and very child friendly) space. I am now absolutely obsessed with the little hanging mugs and am hoping to create something similar in my own kitchen/dining room. 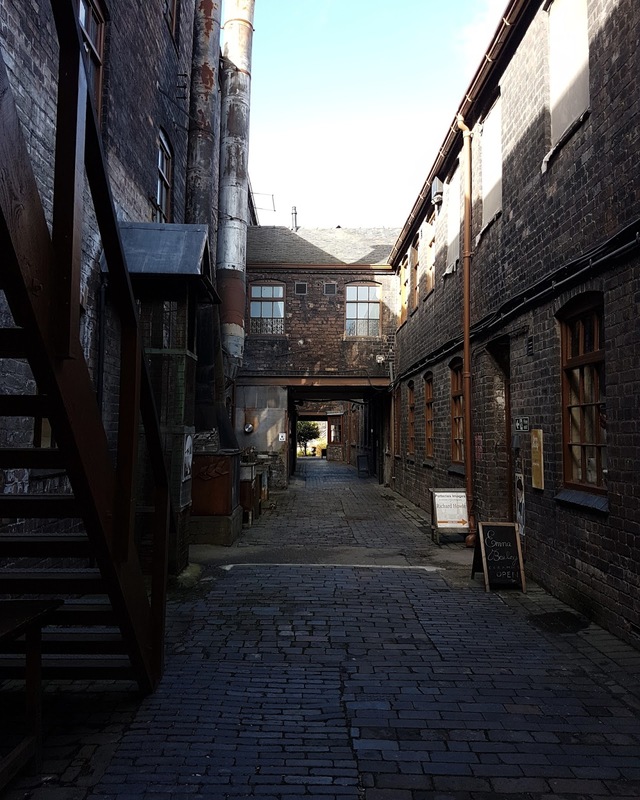 So, if you do live close enough to Middleport (ST6 3PE), I honestly think you will not regret a second of it. 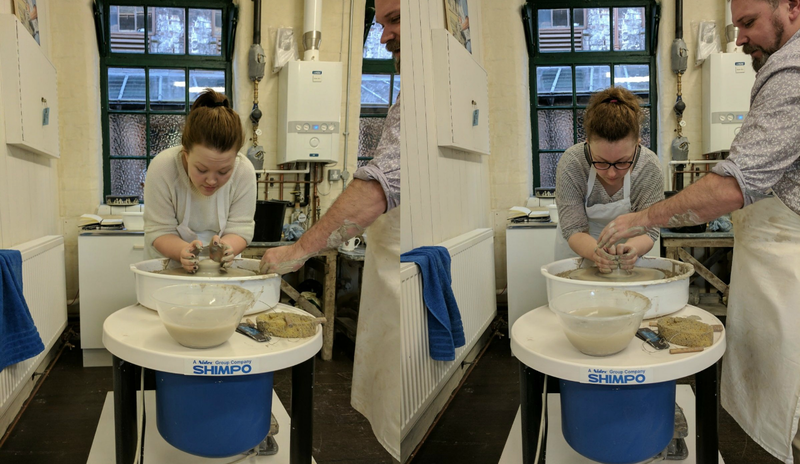 Lessons are £25 for an hour and you make four pots for up to four people (one person makes four, two people make two each etc.) and it includes a natural glaze and firing. Jon is hoping to add decorating soon so stay tuned. I would definitely say have a go if you live anywhere near! It would be such a lovely way to christen your house.